MEDLEY- "a mixture of people or things of different kinds"
We create flavorful combinations of wholesome ingredients. Everything is cooked from scratch with love… from our roasted vegetables and slow-braised meats to our cauliflower “mac” 'n cheese and house-made sauces. We believe food should taste great and make you feel good. We’re tired of choosing between flavor and nutrition, so we created a place where you can eat healthy without sacrificing the fun. 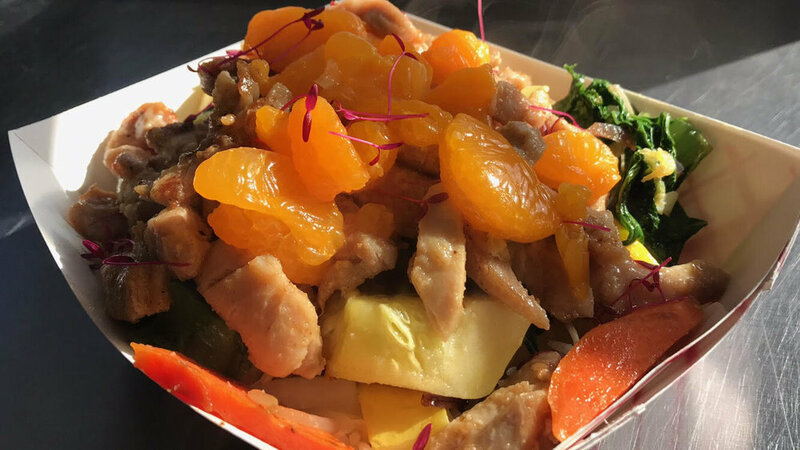 Come give us a try… we bet you’ve never had “healthy” food quite like this. Our menu rotates weekly and by event. Below are many of the items that we feature regularly. We also typically feature a Chef's Special. Please check our social media pages for the weekly menu and the daily special. Mixed greens with crispy kale, roasted tomatoes, basil, sautéed garlic, grilled chicken, mozzarella, and balsamic reduction. Dinner @ Joymongers Brewing Co.
Just connect with us by phone or email and we'll work with you to ensure the day is a smashing success. grocery shopping got you down? Do you want fresh, wholesome food at home but don't have time to cook, we have you covered! 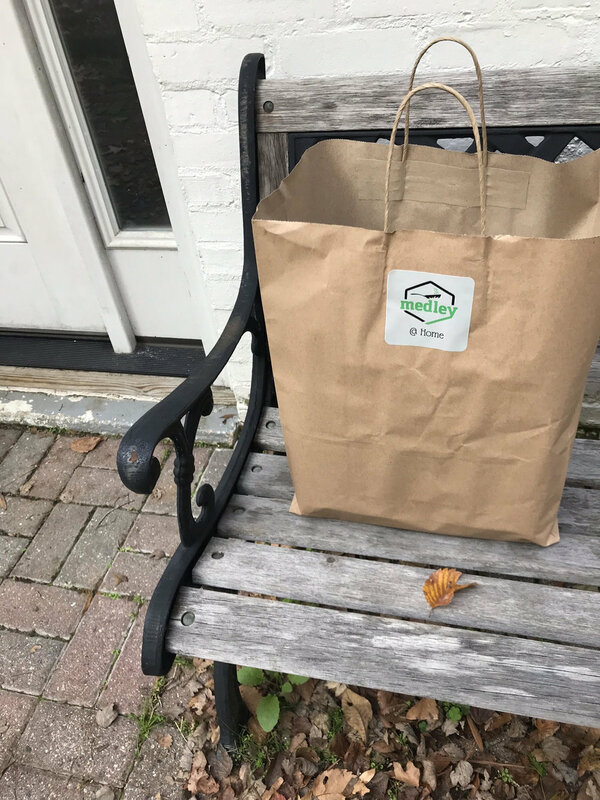 If you are interested in placing an order or have any questions about our medley@home program, please fill in the "Request Home Delivery" section below and we will get you any info you may need! Thank you! Please email us at contact@medleync.com with any immediate questions or requests.